Getting High Risk Forklift Licence in Geelong, Victoria - Be Certified Today! Since forklift operation is considered high risk work in Australia, in order for you to operate a forklift, you must obtain a license to perform high risk work. You can apply for that in WorkSafe Victoria. It is being issued by WorkSafe as stipulated in Occupational Health and Safety Regulations 2017. The license is valid for 5 years. In order for you to have such license, you must complete a forklift training program offered by a registered training organization. The list of forklift training providers in Geelong where you enroll is listed below. The training course will teach you everything you need to know in order for you to have confidence to operate a forklift. If you are new and do not know what to do, here are the step-by-step instructions in taking the forklift course. Evaluate yourself first if this job is the right one for you. Forklift operation is very physically demanding and you may render long hours of work. If you want to know if this work suits you, here’s a guide. Decide what type of forklift equipment you want to operate. This will determine what forklift course you need to apply. Take the training and it could last for 2 days. The training involves attending the classroom instructions and hands-on demonstration. Make a schedule for your skill assessment with the RTO or to their duly authorized assessor. When the assessor deemed you to be competent to operate forklift, he will then issue you notice of assessment, the green copy is to be submitted together with your application for HRW licence while the pink copy is you to keep, proving you that you’ve undergone training and assessment. The pink copy is your proof of competence until you receive your photographic HRW licence. After finishing the training, complete the requirements so that you can conveniently apply for licence to perform high risk work in WorkSafe Vic. Aside from the unsigned application form from which you can get from a participating Australia Post outlet, you must submit the green copy of notice of assessment (the one that the assessor given to you), a very recent passport-size photo, 100 points proof of identity (you can see the list of ID requirements and its corresponding points here), the application fee of $64. If you have existing HRW licence, you will need to present that. Lodge the application requirements in person to the nearest participating Australia Post in your area. The post will submit your application for high risk work licence to WorkSafe for processing, it could take as much as 4 weeks before the licence arrives at your doorstep. The licence has 5-year validity. The date when you need to renew it is show on the licence card. One of the prerequisite you must know is that you need to be at least 18 years old before you can be assessed and receive a HRW forklift licence from WorkSafe Victoria. For you to receive a forklift certificate and notice of assessment from the RTO or assessor, you must complete the two important components of the course – the classroom and practical trainings. At the end of every training course, student must pass the written and practical exams. The written test is usually comprised of 60 questions that covers different subjects that have been taught during the classroom lectures. The practical assessment is the hands-on demonstration supervised by the assessor. You will perform stationary equipment checking and actual driving/maneuvering for you to be able to show your competence operating the forklift. Upon successful assessment, you will receive your notice of assessment from the RTO or assessor from which you need to lodge your application for HRW licence together with other requirements within 60 days. If you failed to do, after that duration, the notice of assessment will become invalid. You need to retake the assessment. The two components are very crucial for you to learn the technicalities involved in forklift operation. Safety is the number priority, therefore, a large portion of the classroom lectures in dedicated to it. 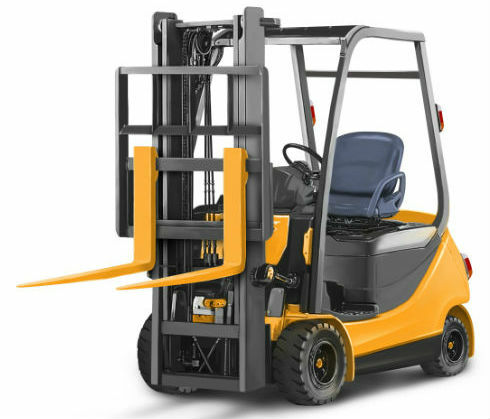 A forklift driver working Geelong can receive as much as U$20.03 per hour. You will work in areas such as construction sites, shipping yards and docks, warehouse and factories, in many other places where there are loading and moving of heavy materials. Intensive knowledge about safe operating practices is strongly required for this type of job. If you do know how to get a forklift job even you do not have experience yet, you can read this article. To get a job in Geelong as forklift driver, you need to have in your possession a forklift licence. It only takes a little amount of money, time and effort to have such high risk work licence. The employers are in continuous need of competent persons like you but only if you have such licence. They know if you have one, you can improve their business and profits because you are more efficient at operating the forklift.